Show your love for your state. 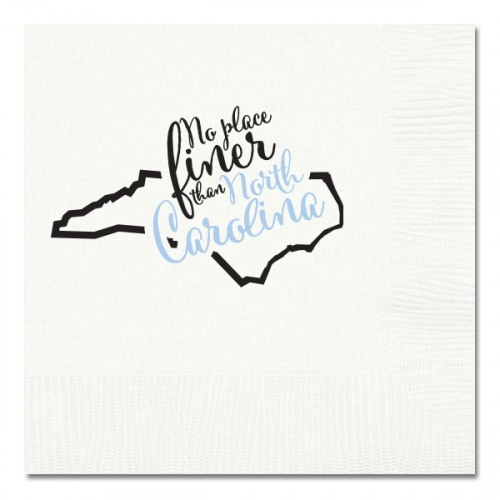 White cocktail napkins feature the outline of the state and the phrase "No place finer than North Carolina" in black and light blue ink. Makes a great wedding, housewarming or hostess gift when paired with the stemless wine glasses, guest towels, cork coasters, and other items in the Swoozie's Exclusive state collection.